We would like to take this opportunity to thanks for your long term support in 2018! Due to the Chinese Spring Festival Holiday, our office and factory will be temporarily out of working from 30th Jan.to 11th Feb.,and back to work on 12th Feb.
Orders still accepted during the holiday, but the delivery time will be delayed after the vacation, the production schedule will be arranged according to the date of order placed. During the holiday, the email may not replied timely, if there is anything urgent,please contact our sales representative. 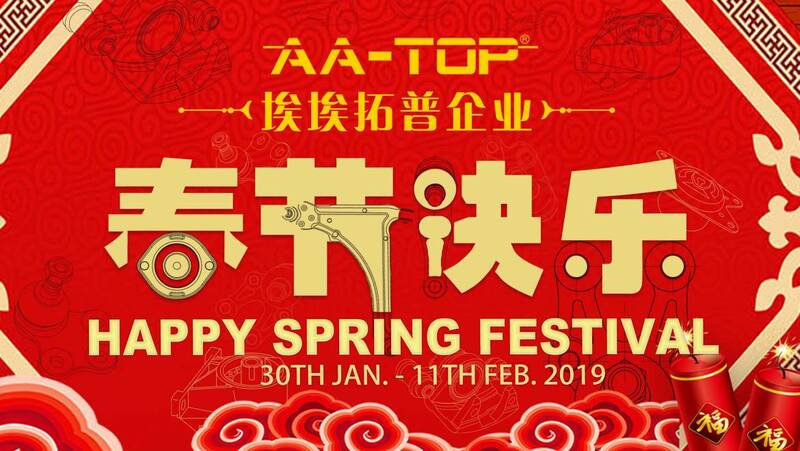 May we take this opportunity to offer to all our customers -“Happy Spring Festival”!